Fire up your toasters – and perhaps steel your stomach – for the latest spreadable innovation to hit UK supermarket shelves. 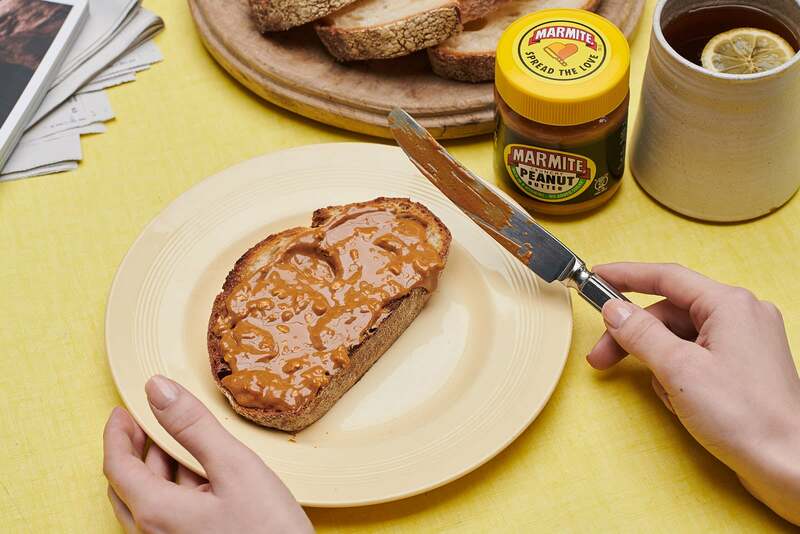 The spread – unsurprisingly a combination of crunchy peanut butter and the yeasty taste of Marmite – is the first permanent product innovation since the love-it-or-hate-it brand was established in 1902. The company says the spread has been developed in response to “overwhelming demand” from shoppers. “The British public asked, and we listened,” says Camilla Williamson, brand manager at Marmite. Chief executive of Weetabix Giles Turrell has warned that the price of one of the nation’s favourite breakfast are likely to go up this year by low-single digits in percentage terms. The cost of a 100g jar of Nescafé Original at Sainsbury’s has gone up 40p from £2.75 to £3.15 – a 14 per cent rise—since the Brexit vote. When contacted by The Independent this month, a Mondelez spokesperson declined to discuss specific brands but confirmed that there would be “selective” price increases across its range despite the American multi-national confectionery giant reporting profits of $548m (£450m) in its last three-month financial period. Mondelez, which bought Cadbury in 2010, said rising commodity costs combined with the slump in the value of the pound had made its products more expensive to make. Walkers, owned by US giant PepsiCo, said “the weakened value of the pound” is affecting the import cost of some of its materials. A Walkers spokesman told the Press Association that a 32g standard bag was set to increase from 50p to 55p, and the larger grab bag from 75p to 80p. Tesco removed Marmite and other Unilever household brand from its website last October, after the manufacturer tried to raise its prices by about 10 per cent owing to sterling’s slump. Tesco and Unilever resolved their argument, but the price of Marmite has increased in UK supermarkets with the grocer reporting a 250g jar of Marmite will now cost Morrisons’ customers £2.64 – an increase of 12.5 per cent. Toblerone came under fire in November after it increased the space between the distinctive triangles of its bars. Mondelez International, the company which makes the product, said the change was made due to price rises in recent months. Maltesers, billed as the “lighter way to enjoy chocolate”, have also shrunk in size. Mars, which owns the brand, has reduced its pouch weight by 15 per cent. Mars said rising costs mean it had to make the unenviable decision between increasing its prices or reducing the weight of its Malteser packs. Marmite lovers and haters alike quickly took to Twitter to share their thoughts on the concoction. “This is more controversial than Brexit! !,” commented one user. “Peanut butter??? Is it true?? Come on?? I want an official announcement please? Is it in the shops now? I want it… I need it…,” asked one enthusiast. Another added: “MARMITE & PEANUT BUTTER IS MY FAVOURITE SPREAD COMBO! The 225g jars, priced at £2.50, will be available to order online at Ocado from 25 March, before rolling out to all leading nationwide retailers from 7 April. The news comes hours after Deliveroo announced it was teaming up with Heinz and a network of UK restaurants to bring back the Heinz Beanz Pizza. The pizza was discontinued in 2003, much to the disappointment of beans fans – but will make its comeback from 29 March.